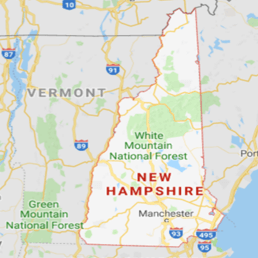 If your property in Berlin is suffering from the effects of a roof leak, pipe burst, sewage backup, or storm damage, you’re going to need the quality water damage repair and restoration from 911 Restoration New Hampshire. Our water damage Berlin specialists are trained, equipped, and always ready to provide your home with a fresh start! Your home is exposed to various weather conditions every day. That constant exposure can affect the overall structural integrity of your home over time and wear and tear can start taking its toll. Problems like roof leaks or clogged gutters can eventually form. These kinds of issues can be difficult to deal with on your own, but our water damage Berlin technicians’ 24/7 availability, we can ensure you get the help you no matter when the leak occur. We know how urgently issues like roof leaks, sewage backups, and pipe bursts need to be taken care of. And when you need it, our water damage Berlin specialists will provide you with that immediate response. We can respond to your emergency call within 45 minutes which will allow us to patch up those leaks right away. Once our team arrives, we’ll be providing a free assessment that will help us recommend the best solutions at an affordable price. Water damage of any sort can allow excess moisture within your home which can lead to fungal infestations. Once mold starts growing, it doesn’t take long for it to start spreading. Fungal growth can hasten the deterioration of the wooden sections of your home and the spores can cause health conditions like skin asthma and skin irritation. As your go-to water damage Berlin specialists, we are fully aware of the dangers that mold can pose to your health and to your home. The best way to protect your home against mold growth is by having any form of water damage repaired immediately. Our IICRC certified water damage Berlin team is trained to handle all of those water emergencies. We will use the latest drying equipment to extract water and remove moisture from your home thoroughly. By getting rid of excess moisture, we can prevent future instances of mold infestations within your home. 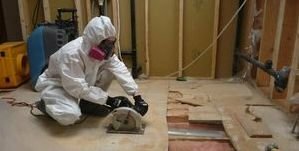 Our licensed, insured, and bonded water damage Berlin specialists will then perform mold remediation and water damage restorations that will make any affected sections of your home look good as new in no time! Our water damage Berlin experts are always available to provide you with the highest quality of water damage restoration that will handle your concerns like roof leaks, pipe bursts, and toilet overflows. We have over three decades of experience in dealing with water damage of all shapes and sizes. Through our services, you can rest assured that you and your property can get that much needed fresh start! Our water damage Berlin team has done our research, and according to the Insurance Information Institute most insurance policies cover water damage so long as it isn’t caused by negligence, or a flood. If terrible weather sends floodwater into your home you will need a supplemental policy through a private insurer to cover the damage. Furthermore, if you failed to repair those sump pumps, ignored your pipe leaks, or harsh objects get flushed down the toilet, your policy would likely deem the cause negligence and not cover your repairs. If this happens call our water damage Berlin experts with 911 Restoration New Hampshire and we will be there in short order to take it all on for you today!